Quinoa is an ancient grain with substantial nutritional content, which is why I prefer to choose quinoa over rice and other grain products. Quinoa contains all 11 essential amino acids therefore, it is a complete protein source (Perfect for vegetarians!). This is rare for plant-based foods. 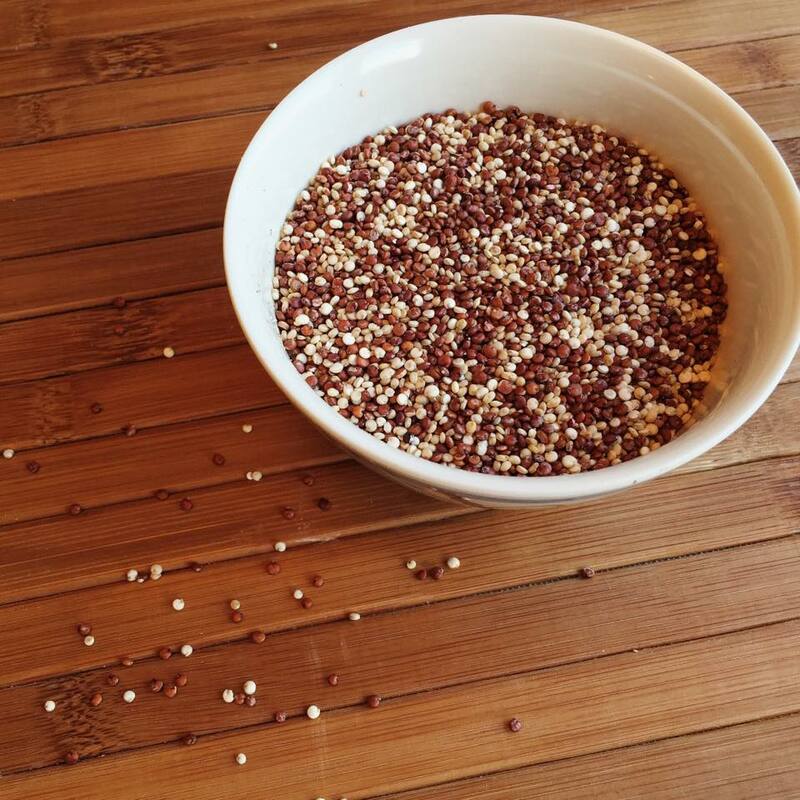 1/4 cup Quinoa (uncooked) contains 6g of protein versus white rice at 3g of protein per 1/4 cup. Additionally, quinoa is a great source of iron and fibre. 1/4 cup of quinoa contains 3g fibre whereas 1/4 cup white rice contains 0g. Quinoa also has a low glycemic index. Keeps you satisfied longer by raising your blood sugars slowly. Another benefit is that quinoa is gluten-free for those of you who are gluten sensitive. Another plus…. quinoa tastes good as a salad, in baked goods, hot, cold, puffed, eaten as oatmeal….any way you like!